When the Gospel is presented boldly and without compromise it will always encounter opposition. 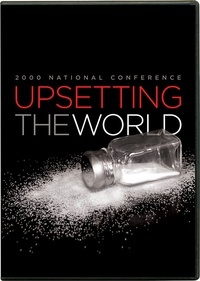 In this series of lectures from Ligonier Ministries’ 2000 National Conference, “Upsetting the World,” Sinclair Ferguson, Al Martin, R. Albert Mohler Jr., John Piper, R.C. Sproul, Joni Eareckson Tada, and Douglas Wilson explain how to face a world that is hostile to the Gospel. Reminding us that the Gospel is offensive to depraved humanity, the speakers emphasize the need for world missions, the reality of suffering, and our heavenly reward.